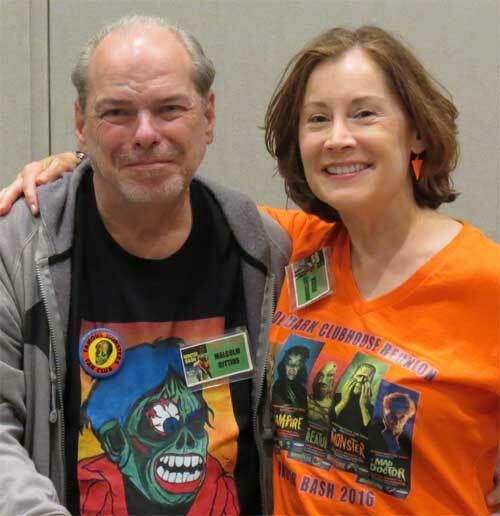 The Monster Bash this year featured Guests of Honor Jo Morrow, Audrey Dalton, Claudia Barrett, Gregory Moffett, Sharyn Moffett, John Russo and many others! It was another power-packed event celebrating the classic films of yesterday. 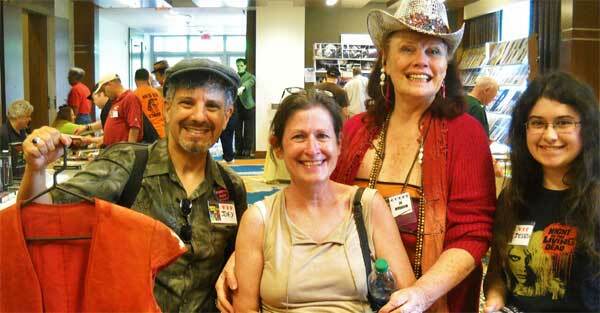 Check out the photos from various events. Just an incredible time. 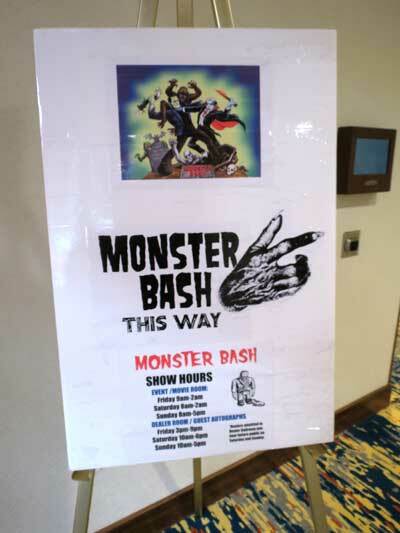 We hope you'll make the next Monster Bash! CLICK HERE for details. Photos provided by Joey Vento, Malcolm Gittins, Paul Speidel, Mike Dimesa, Ron Adams, Debbie Sargent, Sandy Castle, Ted Lewczyk and others - thank you! 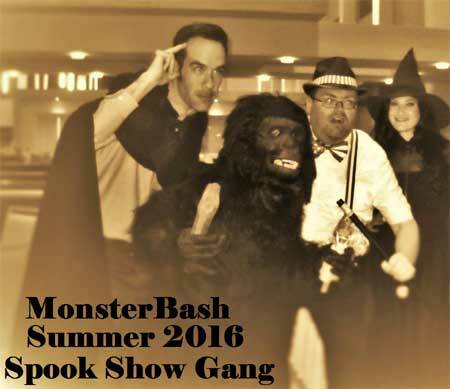 Click here, if you want to go back to Monster Bash front page. 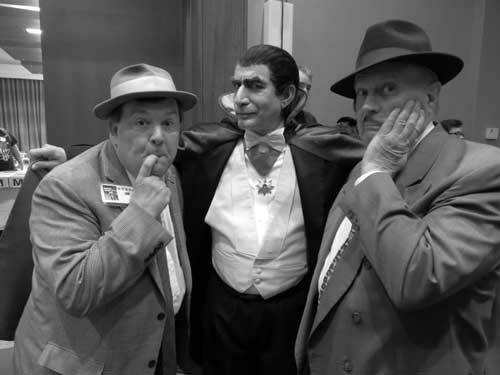 Lou (Joe Ziegler), Dracula (Charlie Arrigo) and Bd (Bill Reilly) male Monster Bash fun. 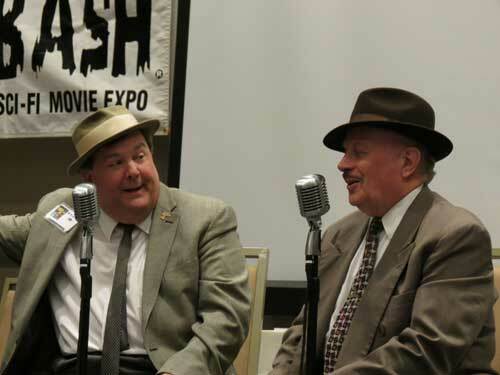 The Ultimate Abbott & Costello Tribute Show at Monster Bash! 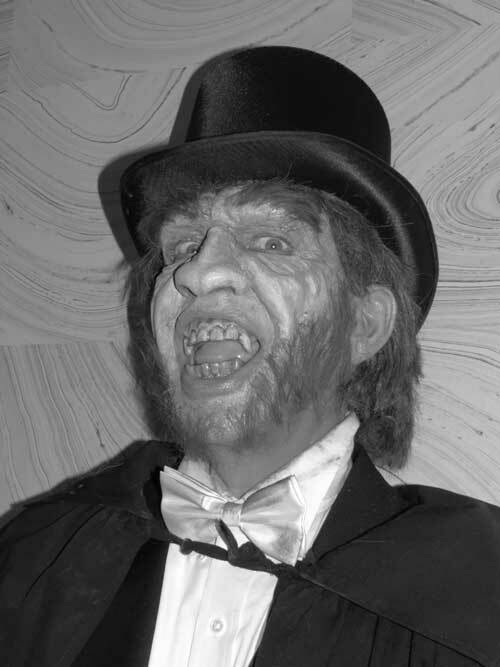 Mr, Hyde revels in Monster Bash! 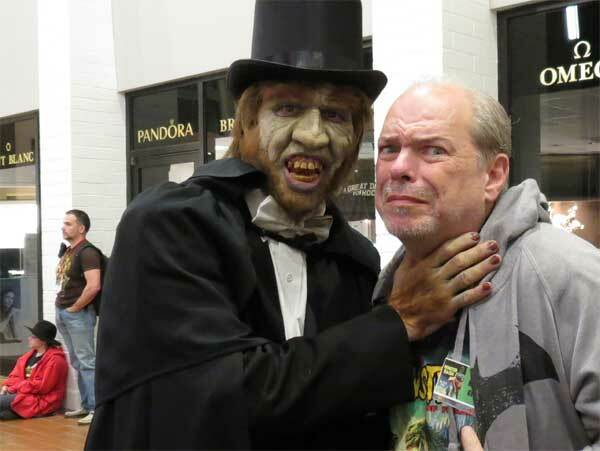 Mr. Hyde Meets Mr. Gittins! 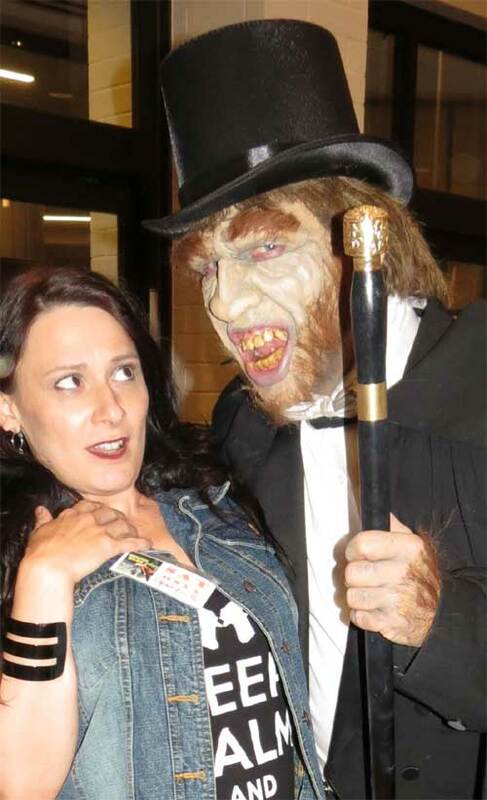 Monster Basher Malcolm Gittins meets up with Mrs. Monsters From the Vault, Marian Clatterbaugh. This way, wayward traveler....to Monster Bash. 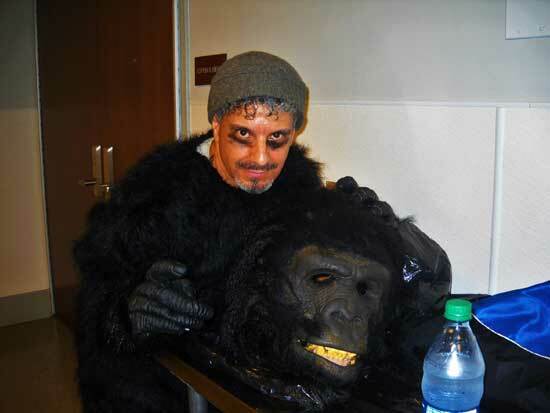 You never know when you might need a gorilla, as demonstrated at Bash by Joey Vento. Proof that Spook Shows are back...check with your local theater! Joe Vento and family with Jo Morrow (THE THREE WORLDS OF GULLIVER). 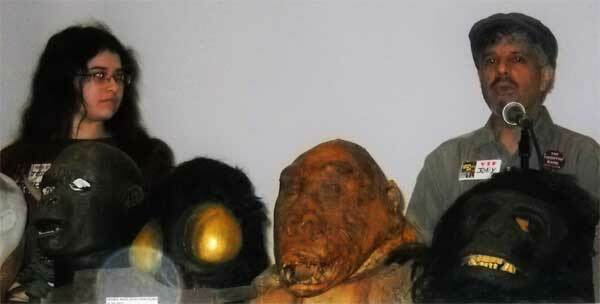 Joey holds original costuming from THREE WORLDS OF GULLIVER! 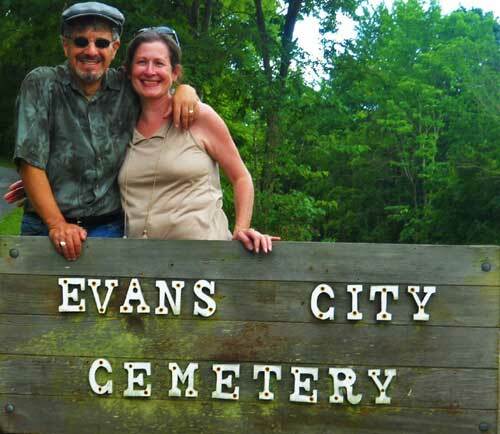 A nearby favorite visiting spot for Bash goers, Evans City Cemetery. That's where the opening scenes from the original NIGHT OF THE LIVING DEAD were shot. Joey Vento speaks to the audience on the various props he's collected over the years. 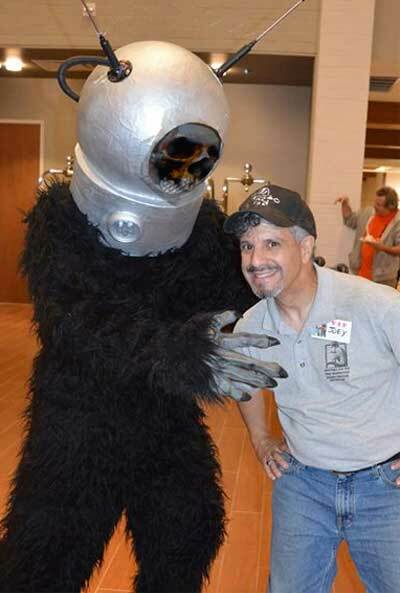 Robot Monster Vs. Ape Man (Joe Vento). 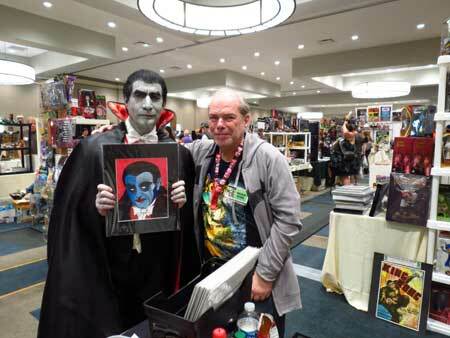 More Photos from Monster Bash 2016 - CLICK HERE! Go back to Monster Bash front page!